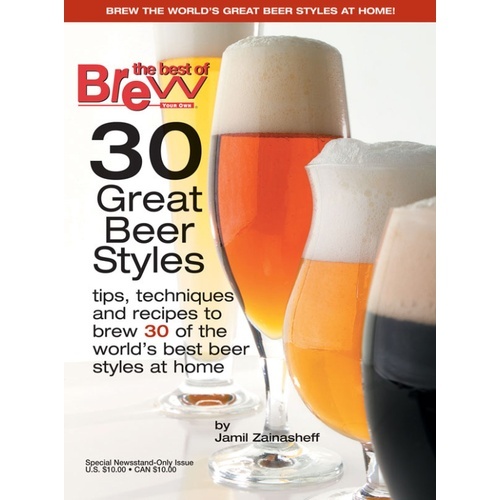 An exclusive issue of Brew Your Own focusing on different beer styles. This issue was written by Jamil Zainisheff and includes over 30 recipes. In the recipes will be both extract and all grain versions, as well as step-by-step instructions on how to brew the recipe. A great magazine for anybody, especially those getting in to recipe formulation and experimentation! Jamil has been a long time friend of MoreBeer!, and has even helped us design some of our products and recipes. Honestly, I was a little short of free shipping and this was not only enough to get me there, but seems like it will be a great read!